Trust TODAY to be up-to-date and fresh for the classroom. ; Opportunities for revision, exam practice and assessment throughout. 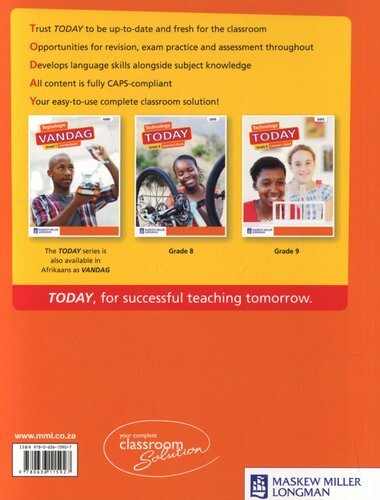 ; Develops language skills alongside subject knowledge. ; All content is fully CAPS-compliant. ; Your easy-to-use complete classroom solution! TODAY, for successful teaching tomorrow. 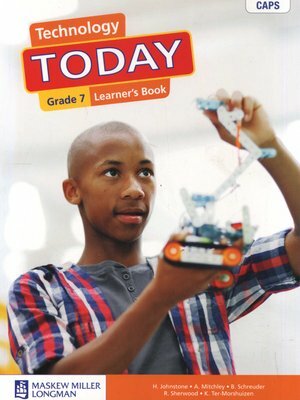 This e?Book is a digital version of the printed, CAPS-approved ?book. Benefits of the ePUB format? include:? The ability to view on ?a ?desktop computer, notebook or tablet. ; As learners adjust fonts, rotate and flip pages, content reflows to fit the device's screen giving the user a more flexible experience; and Learners can take notes, highlight and bookmark, and access video and audio for visual learning.